Discussion in 'Buckeye Football' started by ScriptOhio, Mar 31, 2015. 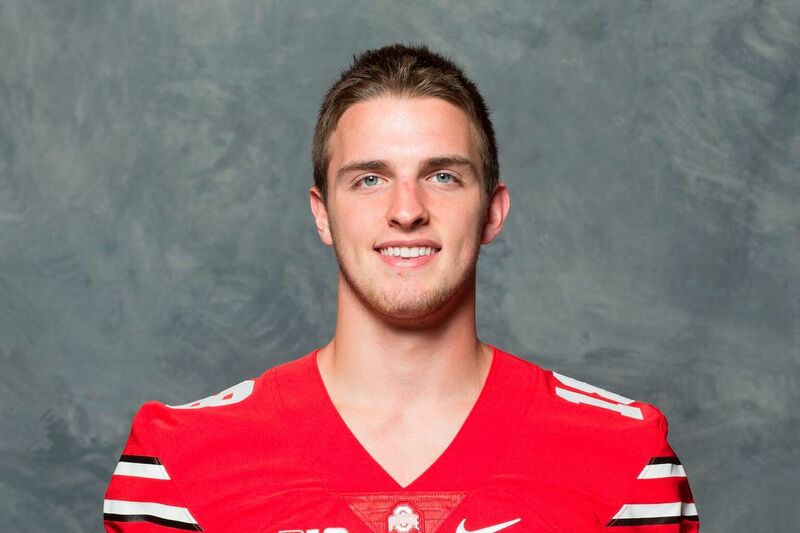 BREAKING: La Salle Junior Punter Drue Chrisman OFFERED by The Ohio State Buckeyes. That tweet is from the director of football at La Salle High School and is referencing the country's best punter, Drue Chrisman. brodybuck21, akronbuck and pnuts34 like this. He would be a welcomed addition to the class. Redshirt him next year and we have 4 years of Chrisman following Johnston. akronbuck, RB07OSU and shiznit7 like this. We're all too familiar with how important this position can be. Even as good as our offense was, Cam made some crucial punts in big moments that not only helped our defense, but also lead to turnovers when backed up inside the 10. Would love to have him on board and I think the timing is right. buckeyesin07, pnuts34 and LitlBuck like this. Dude is blasting 70+ yard punts in the air. Sign me up. Bestbuck36, pnuts34 and akronbuck like this. akronbuck and brodybuck21 like this. What I don't get is why does it have to be zero or two years? Because if the Aussie doesn't go pro he could go on a one year mission if he chose to go to OSU. Otherwise he'll either redshirt or potentially greyshirt anyways. All I know is, if he is going to do a two year mission, which is the only mission length he would go on, he would go to BYU. It will be interesting to see what happens. Agreed. I was more asking why Mormons only go on missions of 2 years and no other length. Seems kind of odd. Especially when zero mission is obviously an option if he goes to OSU/FSU. just don't see why if he does choose OSU he wouldn't want to/be able to go on a shortened mission. Yeah it is odd, that's a good point. There should be that option..
AJHawkfan Wanna make $14 the hard way? He'd obviously be a welcome addition to the class. One minor question for the coaching/technical guys - is it normal for punters to take three steps before kicking? To me, it seems like he's got the ball for a long time - and moves quite a distance before kicking. I'm not saying it is/isn't normal, just that I've never noticed it myself.